21:30hrs Past Les Sables d'Olonne and Charlie Dalin still holds the lead at the front of the peloton making 7.7kts suggesting the breeze has picked up as per the forecast. The leading group are paralleling the coast, gybing pretty much at the famous Vendee Globe finish line. Dalin is in an interesting position right now as he has to put more than six minutes on Anthony Marchand is he is to claim a podium place but in the meantime second overall Xavier Macaire has gone for the radical offshore option and right now is paying a heavy price in that he is computed to be 30th with a deficit of more than six nautical miles. Britain's Nick Cherry is in the top group in fifth.Hugh Brayshaw and Alan Roberts are out there too and it does not look pretty and they are a knot slower than the pack. 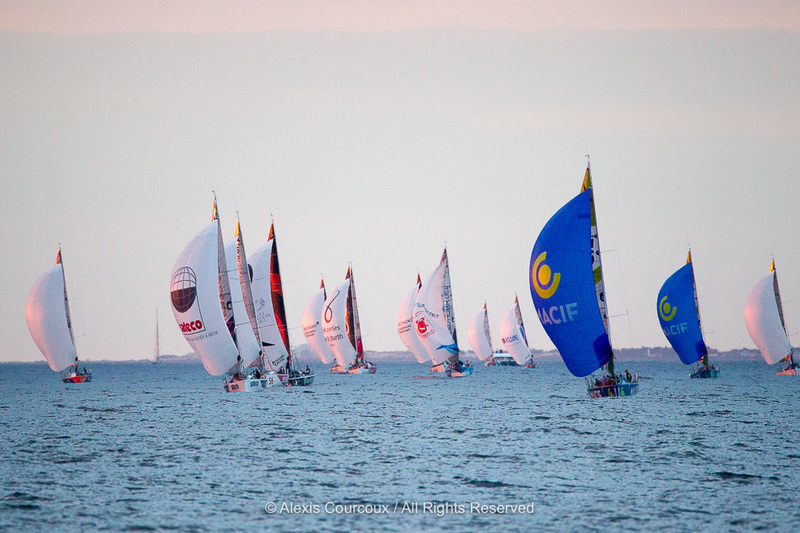 They all have about 23-25 nautical miles to go to the Radio France mark at the start of the Ile de Re rounding, so should be there pretty much at midnight French time.